Canna, Canna Root, Channa, Kanna, Kaugoed, Kauwgoed, Poudre de Sceletium, Racine de Kanna, Racine de Sceletium.Sceletium Powder, Sceletium Root, Skeletium. Why Do People Use Sceletium? Oral preparations of Sceletium tortuosum (Sceletium), like sceletium powder or fermented sceletium, can be taken orally or chewed for depression, anxiety, stress and relaxation. It has also been used for colic, pain, appetite suppression, and for alcohol withdrawal. Teas and tinctures made from sceletium have also been used as anesthetics and for sedation. To rate the overall safety of sceletium, there is insufficient and unreliable information available. Avoid in Pregnancy and Lactation - Pregnant and breast feeding females should avoid any type of consumption of sceletium because there is insufficient and unreliable information available in this regard. 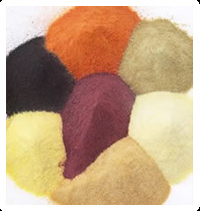 To rate the effectiveness of sceletium powder, there is insufficient and unreliable information available. The most effective part of Sceletium tortuosum are the roots and leaves, which are often chewed and fermented. Sometimes, it is also utilized as a snuff or is used to make a tea and tincture. Sceletium consists of minimum nine alkaloids that may add to its pharmacological reactions. These exist in concentration within the range of 1%-1.5%. Some of these include demethylmesembranol, 4'-O-demethylmesembrenol, mesembrenone, mesembranol, mesembrine and mesembrenine. Sceletium alkaloids are thought to have a number of different psychoactive impacts but these impacts have not been well-characterized. Mesembrine alkaloids exist in sceletium extract within the range from 0.3% to 1.3%. The aging procedure of sceletium seems to alter mesembrine to Delta-7-mesembrenone. Mesembrebine exists in a concentration of 0.2%. Mesembrine alkaloids are thought to have feeble opiate action and narcotic impacts. In animal model, extract of sceletium enhances the levels of C-receptive protein, prostaglandin E2 and interleukin-1beta (IL-1beta). This proposes some level of intolerance to the treatment. Sceletium may also enhance IL-10 levels and reduce IL-2, which proposes concealment of immune function. What Are The Side Effects /Adverse Reactions of Sceletium? Orally - According to anecdotal reports, chewing sceletium can cause adverse effect such as loss of appetite, headaches, listlessness and even depression. Anecdotally - By chewing the root right after fermentation can be responsible for intoxication. Over dosage of sceletium has also been reported to be responsible for intoxication. Some have recommended that sceletium can play role as hallucinogen, but this reaction has not been proved. How Sceletium Interacts With Other Herbs and Supplements? Supplements & Herbs with Sedative Properties - Sceletium powder may have sedative properties. Combination of sceletium with herb & supplements containing sedative properties may enhance the potential risks of excessive drowsiness. Supplements in such category include calamus, 5-HTP, Jamaican dogwood, St. John's wort, yerba mansa, valerian, hops, skullcap, kava, catnip, California poppy and others. Marijuana - There are number of psychoactive effects due to Sceletium tortuosum. It is assumed that sceletium may have synergistic or additive effects with marijuana. However, to support this assumption there is no reliable information available. How Sceletium Interacts With Drugs? CNS Depressants - Interaction rating between sceletium and drugs containing CNS depressant effects is moderate, so be careful about this mixture. Sceletium is thought to have sedative activities. Combination of sceletium and CNS depressants might lead to additive sedative effects. How Sceletium Interacts With Foods? How Sceletium Interacts With Lab Tests? How Sceletium Interacts With Diseases and Conditions? What Should Be the Dose/Administration of Sceletium? There is no typical dosage of sceletium. However, individuals consume sceletium as chewed and fermented product. Under some circumstances, it is also utilized to made tea or tincture and also as a snuff. Sceletium is a local plant of South Africa. Sceletium is a succulent plant. It has been long used a traditional medicine by the Hottentots of South Africa. It was utilized to improve mood and create euphoria. Traditionally, the leaves and roots were also chewed after fermentation. It has also been used as smoked, snuff or made into a tincture or tea.